Bonjour lecteurs! You must know it by now. Frenchie Mummy loves fashion, and since she had un bébé, she is really into kids’ fashion. 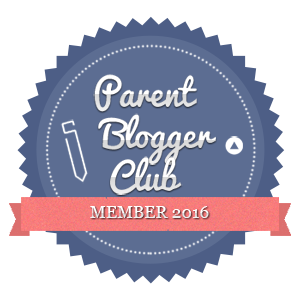 We have our great Baba Fashionista series on the blog with more and more fab brands collaborating with us every week (if you want to see the last one and enter our GIVEAWAY to win some cute Angel’s Face shoes, click here!) So we were delighted to be invited to the last edition of Bubble London. I already went on my own to the A/W17 edition of Bubble London and loved it. So this time, I decided to treat Baba and he joined the party! It’s all in here, in our Living Arrows 29/52! Off we went on the train to Saint Pancras International. It was like going home and catching the last Eurostar to go to the Frenchie land. Baba was fast to fall asleep but obviously woke up as we arrived at the event. The show organised for the team from Maggie & Rose to keep the kids entertained so we had to check it out! Just arriving at the event. Shy, he was very good. It was not to last! 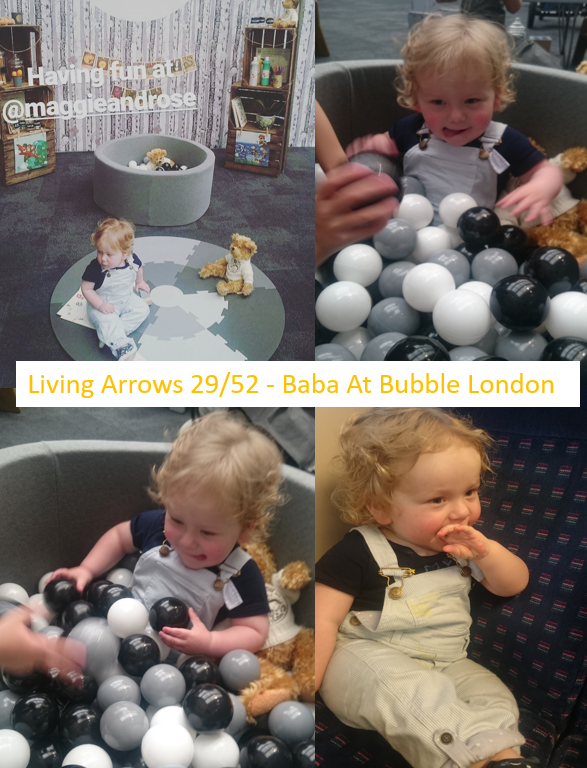 Baba was quickly in his element at Bubble London! Le Frenchie bébé is far from shy. He was quick to settle with the other children present there. Ni une ni deux, he grabbed one of the cars and started playing with it. 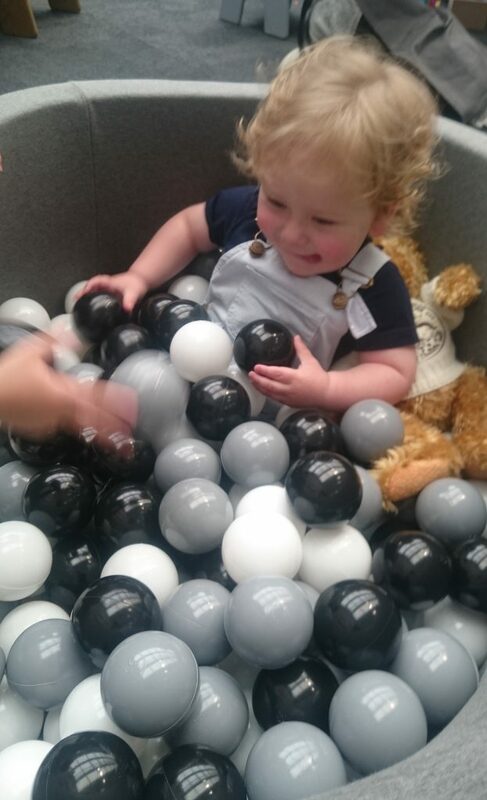 And there was also a soft play area with balls. He was quick to jump in it and have fun! 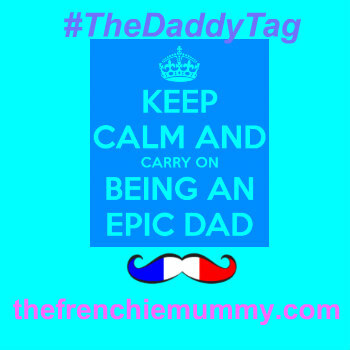 The Frenchie Baby was quickly into his element! For a moment, he nearly forgot about me as he was having so much fun! What am I talking about? He actually didn’t even turn around to say goodbye when I left… He was having too much fun! He also had some ice cream and decided to have a race with me on the stairs. It was fab! Really, I enjoyed my free workout. And Baba loved his Claudi & Fin lolly. 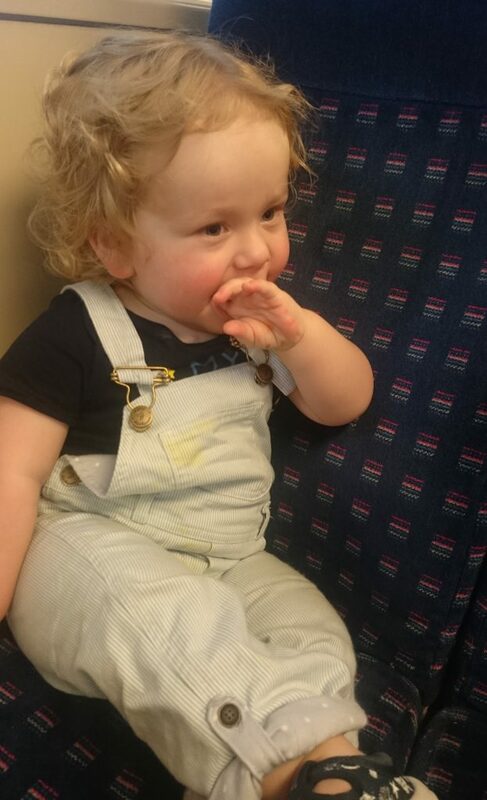 So much that he put some all over his gorgeous outfit from Dotty Dungarees! And the proof is here, en image! On the way back home! Exhausted, he relaxed on the train home. It actually lasted more than 5 minutes. Oui, Oui I promise! And he was then on the go again. The Frenchie Baba is now well asleep after all these adventures while Frenchie Mummy writes about it in her Living Arrows 29/52. Frenchie Mummy wants to say Bravo to Shosh and all her team at Fuse Communications for organising such a fab event! 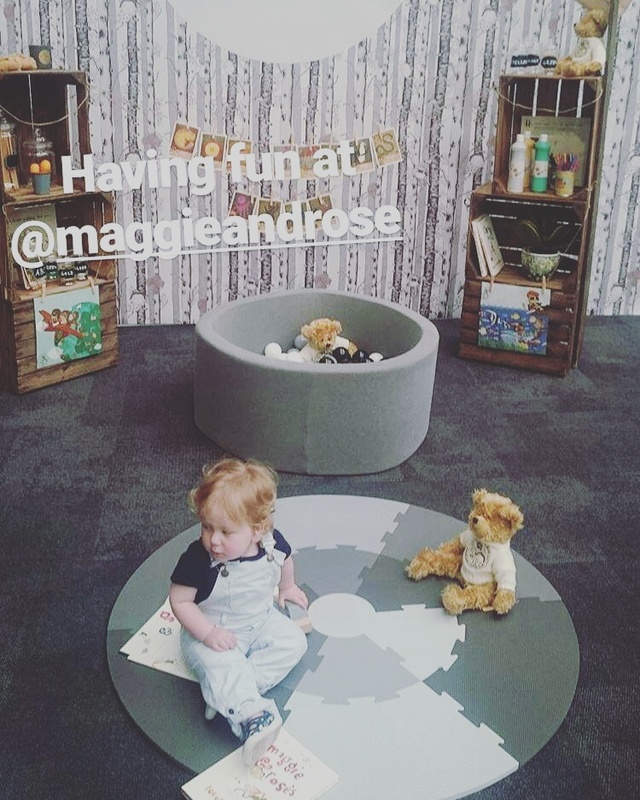 And Merci to the lovely lady from Maggie & Rose for looking after a very lively Baba while Frenchie Mummy was checking out some new cute labels to feature on the blog! What have you been up to this weekend? Did you have as much fun as Baba and eat a lot of ice creams? We want to know it all! This looks so fun!!! I’ll have to pop to London on the Eurostar for a day and check it out. If you do the converse and pop over to Paris – there is a fantastic Christian Dior Fashion Exhibition in the Musee des Arts Decoratifs at the moment. Maybe one for a visit sans enfants as it was very busy last week, but really spectacular nonetheless! Those dungarees are just adorable and so good that he’s confident enough to just go and have fun. 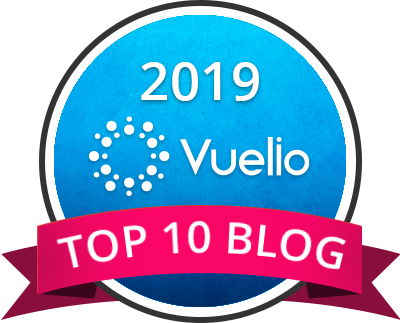 Great that you got to get to know some brands better as well! Aww looks like he thoroughly enjoyed himself. I’d certainly have a go of that ball pit. And great that you got to enjoy your workout too. 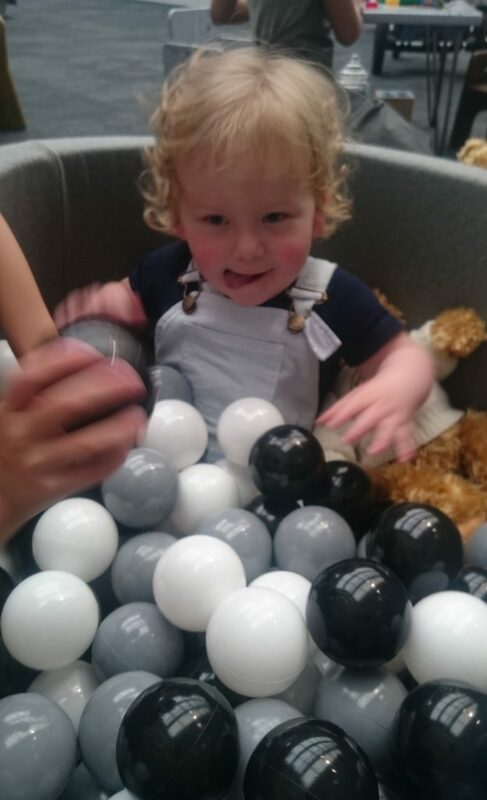 Looks like a great day out, love the monochrome ball pool!